FFA - Walmart stores in 11 states sell Halal chicken that supports Sharia Board of America. Walmart’s sale of Crescent foods helps support Sharia law and fatwas in America. 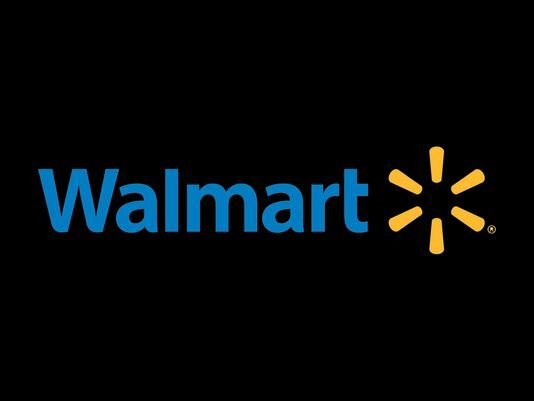 Click here to send your email to express concern to Walmart officials. 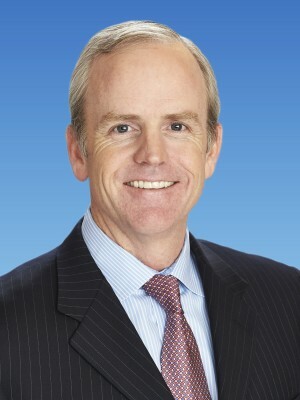 The photos linked in this article to document this situation are posted at the bottom. Halal is the Islamic term used to reference foods and drinks that are permissible for Muslims to eat or drink under Sharia law. 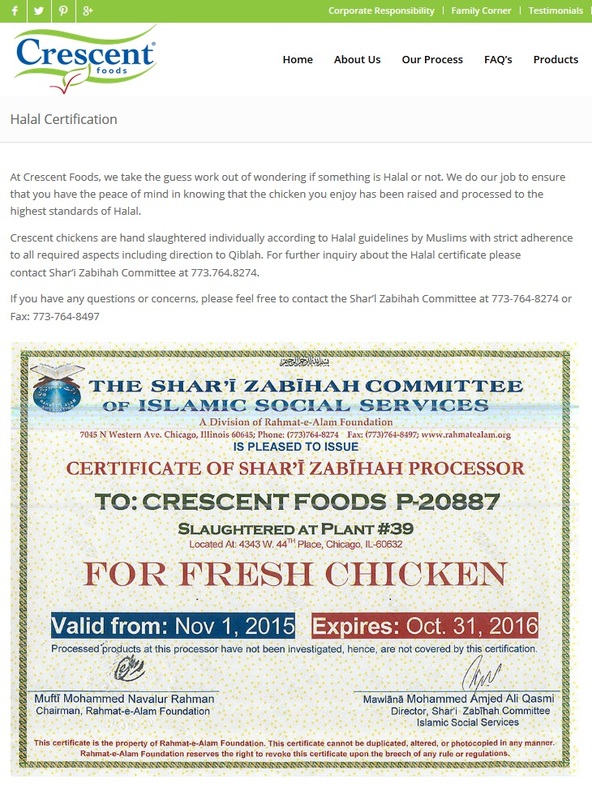 Unlike Kosher, Halal certification supports Sharia law which advocates many practices that are inhumane and antithetical to the United States Constitution. Click here to read more about Sharia law. Kosher also does not treat the animal in the barbaric manner as Halal does. 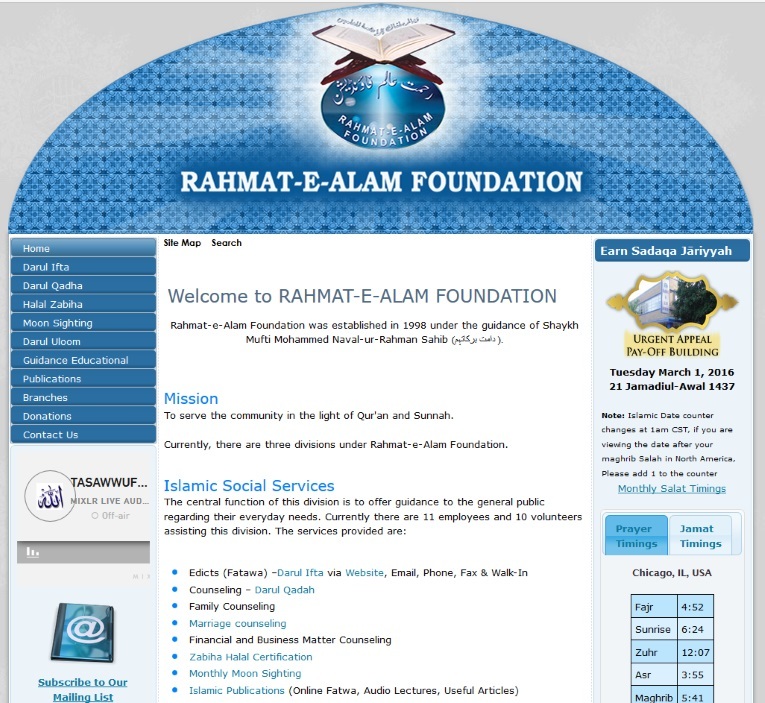 Crescent foods is Halal certified by the Shar’l Zabihah Committee which is a division of the Rahmat-e-Alam Foundation according to Crescenthalal.com. At Crescent Foods, we take the guess work out of wondering if something is Halal or not. We do our job to ensure that you have the peace of mind in knowing that the chicken you enjoy has been raised and processed to the highest standards of Halal. Crescent chickens are hand slaughtered individually according to Halal guidelines by Muslims with strict adherence to all required aspects including direction to Qiblah. 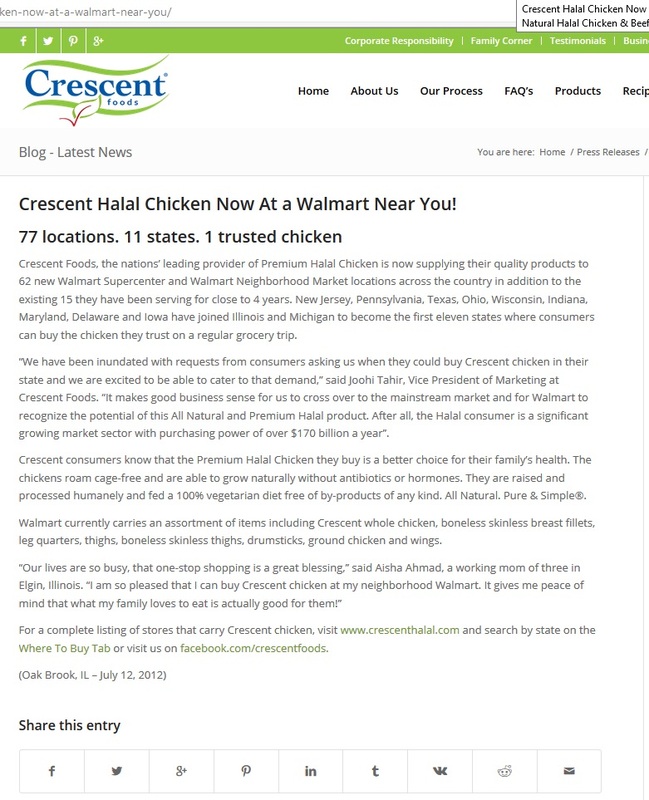 Essentially, Walmart’s sale of Crescent foods helps support Sharia law and fatwas in America. Florida Family Association has prepared an email for you to send to express your concern to Walmart officials. 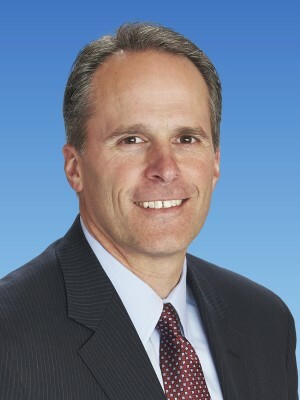 President and CEO, Wal-Mart Stores, Inc.
Chief Merchandising Officer, Walmart U.S.
77 Walmarts in 11 states sell Halal certified Crescent foods. Crescent foods is Halal certified by the Shar’l Zabihah Committee which is a division of the Rahmat-e-Alam Foundation.